Drone Deals for 2019, Dronethusiast Recommends these great Drones! Dronethusiast aims to be a comprehensive guide to buying drones online, which is why we’ve compiled this handy list of the best drone deals on offer. Look, we get it – drones are expensive. As much as we’d like everyone in the world to be able to afford the newest drone tech as soon as it comes out, most of us can’t spend a thousand dollars on the lastest DJI product, and for many even $100 is a big ask for a recreational item. That’s why so many of us rely on great drone deals that make these products more affordable for the common consumer. Along with drones, you may be able to find another great deal on a hobby toy like the fastest RC car or a speedy RC boat. That’s the great thing about sales, you can discover new, exciting items. Because of this, we’re keeping this article updated with all the best drone deals on Amazon and elsewhere. You’ll find DJI drone deals, Parrot drone deals, deals on all kinds of drones and hobby toys from all kinds of companies! Deals on drones with and without cameras. Drone Deals For The Holidays 2019! 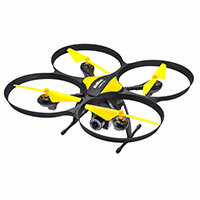 These cheap drones are currently on sale for $150 USD or less, regardless of their original price point. These will mostly include toy drone deals or deals on indoor drones, but some companies like Nebraska startup Altair Aerial are building high-quality beginner drones at this price point. We recommend both the Altair AA108 and the AA818 (See next drone) interchangeably on this page, you’re gonna love either one. If you have a bit higher of a budget we recommend the 818 with it’s higher flight range and time, or if you need to spend less, the AA108 is fantastic as well. This holiday season you can get the Altair AA108 priced around $130.00. It’s very easy to fly, has a ton of useful features, and boasts a heck of a lot of impressing specs. A great company, we recommend the Altair Aerial drones in various places at Dronethusiast because they provide great products and great customer service from their home base in Nebraska. This drone is made specifically with beginners and children in mind, the 3 flight skill levels are amazing when it comes to learning to fly fast, and headless mode makes it super simple to pick it up and start flying right away! Click To See Best Price on Amazon.com! The Parrot Mambo is an incredibly cheap drone that’s designed for kids and teens, but should be a great buy for any first-time drone pilot who wants to get into the hobby. The main draw here is the cost – as part of the holiday sale, the Mambo is going for only $59 USD. That’s about $50 less than its usual asking price. Speaking of attachments, one of the best things about the Mambo is that it comes with a ton of great first-party accessories, including a six-shot foam dart cannon. So if you’re just looking for one of the cheapest drones around but still want to make sure you’re getting a quality product, the Mambo might just be the drone deal for you. The AA818 Plus by Altair at $159, down from $189 normally is another fantastic drone from Altair Inc, the difference you get when buying the AA818 plus is that it flies for 15 minutes on a single battery. 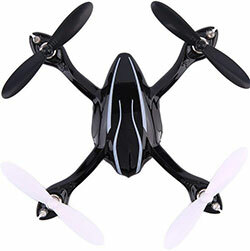 This drone is the best camera drone under 200 and comes with 2 batteries and has 150 meter range. It’s really great for kids and beginners because it’s stable and easy to fly! Altair’s Blackhawk is not their best drone, but it is one of their cheapeast (especially during the holiday sale) and it will give you a good value for your dollar. For only about a hundred bucks you’re getting most of the Tomahawk’s feature set, including the 300 meter range and a flight time of about 15 minutes. What you won’t get is a camera, but the Blackhawk does come with an action camera mount that is compatible with any GoPro Hero. I’ve flown this drone with a GoPro Hero 4 many times and it always performs beautifully, so amateur photographers who already own a GoPro (or who decide to pick one up in the holiday sale) will still get a lot of value here – arguably more than they’d get with an inferior built-in camera. So if you’re looking for something a bit more advanced to get you or your child for the holidays, or just want a great budget long-range drone, the Blackhawk is an excellent choice! 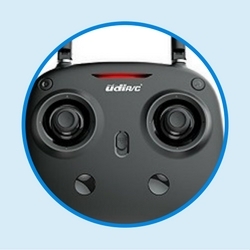 Features powerful and quiet brushless motors and responsive controls. Comes with many extra parts and is highly durable even without them, so crashes won’t be a problem. Hard to believe that there could be an even cheaper drone deal than the Mambo. 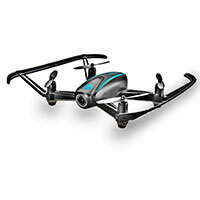 But there is – the Sky Viper e1700 Stunt Drone Builder kit will be going on sale for $34 on Amazon and $30 flat in select Target stores. The Sky Viper is one of our favorite stunt drones. You have to assemble the aircraft yourself, which is why the drone costs so little (you don’t have to pay for any assembly charges, just the parts.) But the different levels of flight sensitivity, automatic hovering functionality, and ViperFlight 5 control software are more than worth the price of admission. Plus, the drone can perform 8 different types of stunts with the push of a single button. Sure, the flight range and battery life are only so-so. But at a price this cheap, especially during the drone sale, this is a drone that’s well worth what it’s asking for. If you want one of the best deals around and aren’t too picky about getting all the features you can, consider picking up a Sky Viper of your own. 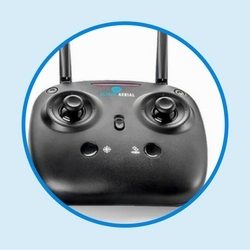 The Hubsan X4 H107L is not generally considered one of the cheapest drones around, but it certainly will be during the dorne deal sale, when its price drops from about 55 dollars to a flat $16. Fortunately, you’re getting your money’s worth and then some. This 2-inch nano drone comes with a flight time that’s only a little under the AA108’s and a solid range of 30 meters. It can be flown indoors or outdoors and has a highly durable frame so that you don’t have to worry too much about crashes. And one particularly nice feature is that it only takes 15 minutes to charge the battery, so even if you can’t fly for very long at least you don’t have to wait for hours before getting back into the action. This is a ridiculously good deal on one of the most popular indoor drones around, so if you don’t mind a quadcopter on the small side the H107L is an excellent choice for this drone deal sale. These drones are currently on sale for $300 USD or less, regardless of their original price point. This is where you’ll typically find mid-range drones with great cameras and some more advanced features than what you get at the $150 or less price. The Outlaw is the perfect drone for first-time fliers and advanced pilots alike. For less than $300, you can pick up a drone with impressively high-quality GPS features that allow the drone to stabilize itself in midair and return to a “home” point with the touch of a button. This drone only came out last month, and it’s rare for a brand new drone to see a $50 price discount. But as you can see in our full review of the Outlaw, this is a great drone and you should absolutely take advantage of this drone deal while you can. Can return to a “home” point with the touch of a button thanks to innovative GPS technology. 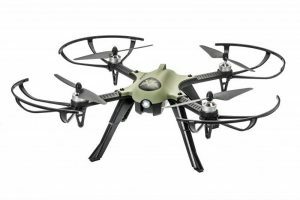 The Tomahawk is the newest addition to Altair Aerial’s superior fleet of drones and this month it’ll only cost you around $200 to get your hands on one. It’s the perfect drone deal for the price and everything you can do with it. 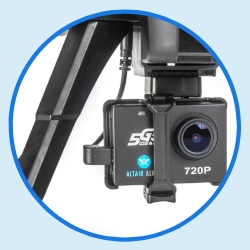 The Tomahawk uses the impressive C5000 720p HD WiFi camera and comes with an action camera mount that is fully compatible with a number of action cameras, including the GoPro Hero 5 and Hero 6. It also includes quiet, brushless motors, impressive high landing gear, and much more to discover. 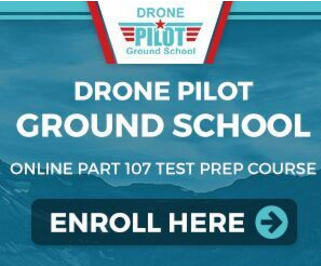 Even though it looks to be a highly technical, extensive drone, it’s very easy to get the hang of it, making it a perfect 2018 drone for the beginner or expert drone user in your life. $1000 is the cut-off point for many of our readers. The following drones may be more expensive than that at full price, but are currently available for less than 900 dollars thanks to an ongoing sale. These camera drone deals will have better cameras, advanced features, and automatic obstacle avoidance functionality. They’re great for prosumers and professional photographers who want to take their drone photos or videos to the next level without breaking the bank. Though perhaps controversial, it is the opinion of the Dronethusiast reviews team (as expressed in our written article here) that the Parrot Anafi is a superior drone to the Mavic Air. And as of Black Friday, it’s cheaper too – by about 150 dollars at a price of only $549 USD. This drone will give you a better camera than the Air (for still images or video), has better GPS and GLOSNASS features for stabilization and shot composition, and even has a hands-free “Follow Me” flight mode that lets you use the drone for aerial photography even if you’ve never picked up a controller. It had a few bugs at launch, but now that those have been patched this is one of the finest flying cameras on the market, and it’s sgoing on sale despite being less than a year old! You can also purchase the “Extended” combo for only $749 at the sales price. This bundle comes with several first-party accessories for the Anafi, including a high-quality carrying case. It’s certainly worth considering if you have some extra cash, especially given Parrot’s reputation for excellent peripherals. Click the button below for more details. Fortunately, there are a couple really great deals, one of which is the DJI Mavic Air. This drone came out earlier this year and quickly established itself as one of the best portable drones around – not quite as good as the Mavic 2 or the Mavic Pro, but still an excellent aircraft in its own right. For only $699 at the sales price (a 100 dollar discount) you’re getting a 4K camera, the best obstacle avoidance in the business, and many other high-tech features. You can also purchase the “Fly More” combo, for only $879.50 at the sales price (usually $999.00). This bundle comes with a controller and all the accessories you could possibly want. Click the button below for more details. Yuneec is a company with a prestigious pedigree, and one that is offereing several great drone deals for the holidays this year. 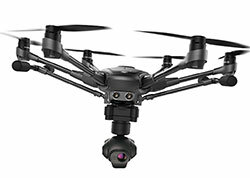 Inarguably, the best of these is dropping the price of the Yuneec Typhoon H (Pro Bundle) from $999.99 to $899.00. This is one of the finest high-end pro drones available for sale, and a deal you really can’t afford to miss out on. Still, if you want a drone that has it all at a great deal price, the Typhoon H is unquestionably one of the best options around (especially since DJI has chosen to exclude most of its pro drones from the sales event.) Click the button below for more details. What drones are on sale? Usually, companies will put their newest or second-newest drone line on sale for the major holidays: Black Friday, Cyber Monday, Amazon Prime Day, etc. Sometimes a comapny will hold a flash sale of a drone they’re trying to get rid of. For example, DJI has recently lowered the price on many of its previous Mavic drones now that it has released the DJI Mavic 2. Where can I find the best drone deals? You can find great sales on drones and other consumer electronics at Target, Walmart, and Best Buy. However, these aren’t always posted online and may vary by region. We prefer to look at Amazon for our drone deals as most companies have a best price guarantee with that company. Some drone manufacturers may offer extra sales or incentives to those who buy directly from their website. 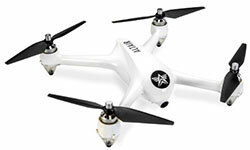 For example, Altair Aerial provides free shipping to anyone who buys their drones from AltairAerial.com. What DJI drone deals are available? 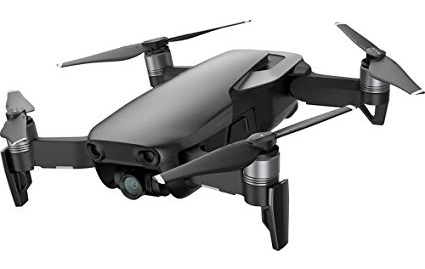 Currently, the only drone DJI has on sale is the Mavic Air, as listed above, and their new DJI Tello quadcopter drone. Normally they are known to offer deals on their more popular offerings like the Phantom 4 or the Mavic 2, but that hasn’t been the case in 2018. Finding the best drone deals is simple when you use our talent to find the best sales for you. We hope this list has made it easier to find the perfect drone at a price that won’t break the bank! Learn how to buy a drone, from Dronethusiast.